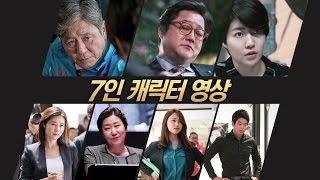 SEOUL, April 6 (Yonhap) -- "The Mayor," an upcoming South Korean political drama film, has released a video focusing on the seven leading roles in the movie. Set to premiere on April 26, the film written and directed by Park In-je has created a buzz among moviegoers due to the compelling ensemble cast. It includes Choi Min-sik, Ra Mi-ran, Moon So-ri and Shim Eun-kyung, all hailed as some of the most coveted A-list actors in the realm of K-film today. The story revolves around Byeon (Choi Min-sik) who aspires to become the first Seoul mayor to be elected for a third term. Laced with three dimensional characters embodied by a spectacular cast, "The Mayor" sparks public interest amid tension growing quickly nationwide with the 19th South Korean presidential election coming in a month.